Year: 1977 By: Neil Colvin, Ancelme Roichel Has a list of names written on the cover. 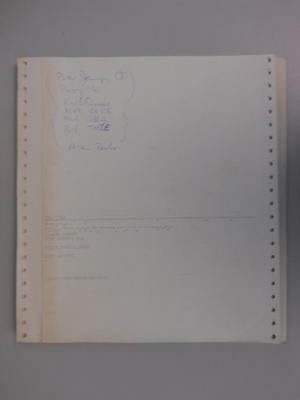 Unless otherwise noted, all images and text © 2017 University of Waterloo Computer Museum. Links to external websites should not be understood as endorsement and are not guaranteed.